Whether you are a one man team or a large business, using Twitter has become a must. It has become pretty impossible to stay competitive without the use of Twitter. So naturally you spend a lot of time on Twitter. Here are 7 ways to help you make the most out of that time. There are a lot of people on Twitter and your goal is to stick out. So customize your Twitter account. Give it your own personal touch so that people who follow you will feel like you are a real person and not some faceless organization. Get a profile picture. Start with creating a good head shot for your profile picture. When people are looking through tweets the number one thing that catches their eye is the avatar. Here is a guide by Michael Hyatt on what makes a good profile picture. It is rarely a good idea to place a logo or some other obscure image instead of showing your face. Showing your face humanizes you and makes you relatable. Fill out your bio. What’s your deal? Why should people bother following you or even bother listening to what you have to say. Be professional yet personal. Customize your background. Humans are visual creatures by nature. Take advantage of this fact. Having a custom background will set you apart from everyone else and give people more info and maybe even a reason to follow you. Like with any social media channel, you need to make sure that your followers never forget about you. To do this you have to tweet constantly and consistently. Luckily, there is tool that will make this easier, but let’s talk about a few tweeting rules to follow first. Don’t Annoy Your Fans. First of all, this is just bad manners. These people went out of their way to follow you. These are your fans. Don’t abuse that, by spamming them or not respecting them. The fastest way to annoy them is by tweeting too much. Try not to go over 10 tweets a day. Stay In Their Mind. This may feel like the opposite of step one and it almost is. Don’t tweet rarely or stop tweeting completely. You need make sure that they do not forget you by tweeting everyday and enough times every day. This varies depending on your audience. The key is to find a balance. 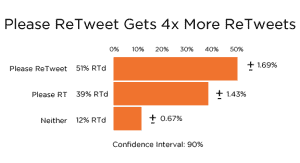 Start out with four tweets a day and see how people respond. Four tweets a day all at once is not a good idea either. Spread these tweets out throughout the day. This is where the Buffer App comes in. The app solves your problem of having to spread out your tweets evenly throughout the day by doing it for you. Simply add your tweet to the buffer and it will tweet them out from your account at preset timings. This way you can simply buffer anything you find interesting whenever without having to worry about losing followers. WeFollow is a gigantic Twitter directory made by the Kevin Rose, the founder of Digg. It allows you to easily find the right people to follow and the right people to reach out to. Everybody is given a maximum of three tags that are used to categorize them. WeFollow makes it easy to search for a specific group of people. Whether you are looking for bloggers, entrepreneurs, or astronauts, WeFollow can help you find them. You can then add yourself to this directory so that others can find you. As a natural side effect of putting yourself out there, people are going to be talking about you. It is important to get an understanding of the buzz that surrounds you. What are people saying about you? Your blog? Your company? Yes, we all know that content is king and that you need to blog about unique and interesting topics. But sometimes coming up with great ideas to blog about simply isn’t enough. 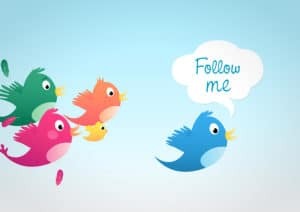 You are going to have to do more to get tweets and increase followers. A Reason. A lot of people might simply tweet your content if it is interesting or informative, but the rest of the people might need a nudge. Give them a reason to tweet. Reward people who constantly tweet your content. Give them a chance to win a prize or a link to some super awesome content. KISS. Keep It Simple Stupid. Steve Krug in Don’t Make Me Think: A Common Sense Approach to Web Usability, says that the more thinking people have to do to accomplish a task on your website the less likely they are to do it. So make it easy to tweet. Place the buttons where no one would miss them. If you are using WordPress, get the Sharebar plugin. Place the tweet button at the end of the post. You don’t want to follow people that are either cluttering up your account with useless tweets or people who haven’t tweeted anything in ages. At best, these people will just waste your time. Use Untweeps to check for inactive accounts. It is an amazing tool that is absolutely free. 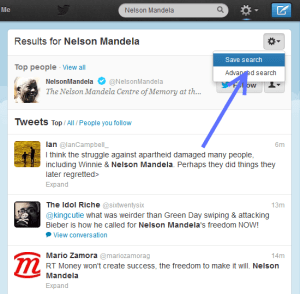 Untweeps allows you to filter your followers by their last tweet date. 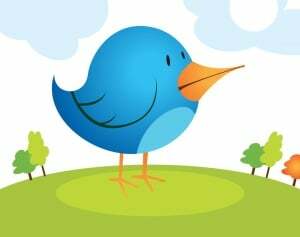 If you are following people who haven’t tweeted in a year, chances are they are inactive. Make sure not to un-follow too many people at once because this might tell twitter you are a spammer. Start looking at people who only tweet about things that you are not interested in. You may need the help of social media monitoring tools to filter through all the people you are following to find the ones that you no longer want to follow. You may have followed spammers or just random people that are not from your niche along the way. Unfollowing these people will clean up your feed and show you only relevant and interesting tweets. Who knows, you may even start looking forward to new tweets. About The Author: Mark Trueman is the founder of multiple online businesses and enjoys creating and sharing useful content with his fellow webmasters at ZenSpill. Mark has been acquainted with the webmaster world for many years and is an addict of everything and anything blogging, SEO, CRO and Social Media. Well thought through Mark – many thanks. Great post Mark and thanks a lot for sharing so many Twitter tools simultaneously. Indeed social media plays a vital role in your business promotion. Talking about the social media monitoring tool, we do have created a new tool Social Defender to manage your multiple social media accounts from a single login. Specifically for twitter, we offer the functionality to automate your tweets, schedule it, keywords & URL tracking and lot more…. I invite you to give it a try (we do have free option with a limited functionality) and let me know your suggestions. We are looking for more suggestions from users to add more features. And I’ll be happy to check out social defender and let you know what I think. It looks like a great tool. But can I ask what you guys do specifically that others don’t? What differentiates you? 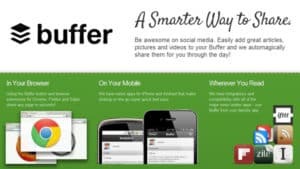 There are already plenty of tools like buffer that allow you schedule or even automate your tweets.